I’m singing the song “I’ll be home for Christmas” over and over in my head as I write this because I’m so excited it’s actually accurate for me this year! It’s been a couple years since I’ve got to spend the holidays with my family (and even longer since all of my siblings have been together for Christmas) so we’ll be traveling to Upper Michigan December 15th-26th. I only have 3/5 available dates still open for photo shoots while I’m in the Houghton, MI area so if you’re ready for new portraits, head over to the contact page right now to get the conversation started! Whether you want to update your business/branding photos, lifestyle family photos, need engagement/anniversary photos, or just want personal portraits - I’d love to plan a fun winter photoshoot with you! Heaven knows we’ve got enough snow in the U.P. to build some snowmen outside and then come in for hot cocoa and snuggles. If this sounds like fun, let’s talk! 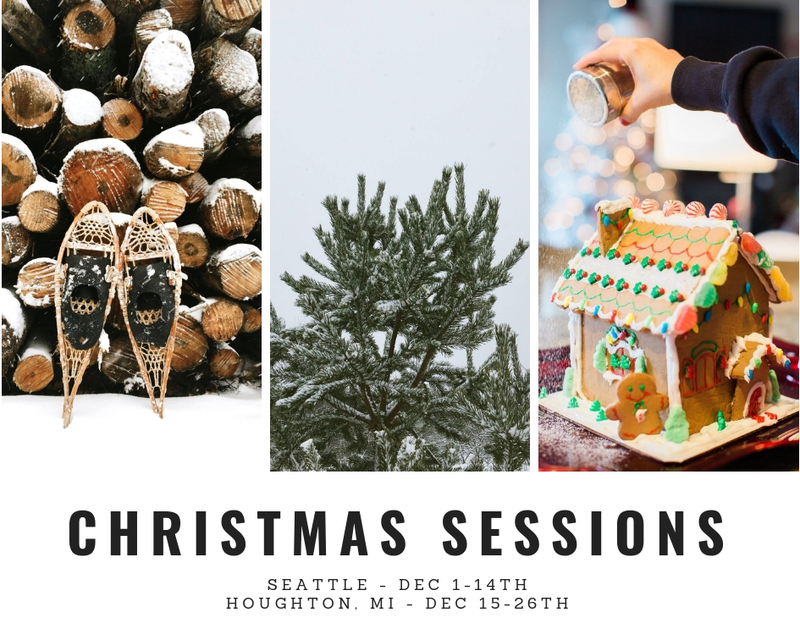 These dates won’t last long and I’d love to get you in before Christmas Eve so we can both spend the holidays celebrating with our families! Click HERE to send me a message!